Alpina Partners („Alpina“) is a London and Munich based investment firm. Alpina is independent and owner-managed. The investment team is a substantial investor in the funds alongside well-respected long-term institutions and family offices. Alpina has over € 300 million in assets under management. Our team has proven industry experience in the technology sector, strong international work experience and a global network (see “Team”). Alpina invests in leading European technology businesses. Alpina focusses on European growth companies with a strong technical USP. We are highly flexible in terms of transaction structures and render a variety of deals including minority growth capital investments as well as leveraged buyouts. We invest in four distinctive technology sectors, which offer exciting investment opportunities (see “Strategy”). As a PRI signatory we are committed to the Principles for Responsible Investment. Alpina helps to unlock the growth potential of technology companies. We are a long-term investor focussing on sustainable value creation. We support management teams on their growth path as sparring partners on board level. We help entrepreneurs to shape their growth strategy in order to internationalize technology businesses. We leverage our strong global network to provide relevant contacts and expertise. Alpina Partners is a London and Munich based European technology growth investment firm. Currently, the team is investing a € 140 million private equity fund which was established in 2014 and has a lifetime of up to 12 years. Investment decisions are made by the partners without any external parties involved. Alpina differentiates itself by its entrepreneurial spirit, a strong international network, a true passion for growth and technology, a high flexibility in terms of transaction structures as well as a fast and transparent approach towards decision-making. ALPINA is supported by the European Union through the Competitiveness and Innovation Framework Program (CIP). We invest in the following four sectors: software, chemicals and materials, industrials and technology-enabled business services. We focus on Europe with an emphasis on DACH (Germany, Austria and Switzerland), Benelux, the UK, Ireland, and the Nordic region. We invest between € 7.5 and 15 million per deal (up to € 30 million together with co-investing LPs). Funds managed by Alpina Capital Partners LLP (‘’Alpina Partners’’) acquired all shares of OR Soft Jänicke GmbH and ORSOFT GmbH (“ORSOFT”) from the owning family during a succession. The existing management team will stay on board and will be joined by Christian von Stengel. ORSOFT’s founder and former CEO Dr. Winfried Jänicke will join the Company’s advisory board. ORSOFT was founded in 1990 as a university spin-off and has been profitable since inception. The Leipzig-based company has approx. 90 employees and offers solutions for advanced planning and scheduling (“APS”), supply chain management (“SCM”), master data management as well as specific applications for the healthcare sector. To date, the Company has executed more than 500 projects in various industries including pharmaceuticals, food and beverage, chemicals, industrial manufacturing and automotive. ORSOFT is a long-standing partner of SAP and offers solutions complementary to SAP ERP and SAP S/4HANA. Alpina Partners is an owner-managed, independent investment firm with approximately EUR 300 million in assets under management. The firm focuses on small and mid-sized businesses in Europe with strong technical USPs. ALPINA supports entrepreneurs and management teams to implement its growth strategies. ALPINA is supported by the European Union through the "Competitiveness and Innovation Framework Program" (CIP). Alpina Partners acquires majority of the shares of Objective International NV (“Objective”), Wichelen, Belgium. “We consider the Alpina team as a very professional financial partner in the technology sector. Together with the strong worldwide network and expertise of Germanedge, a group of companies active in the digitalization of factories, we are ready for realizing our future growth plans.”, says Koen De Clercq, CEO at Objective. “We are delighted to welcome Objective as a new portfolio company in our growth fund. Objective is a well-established specialist in the process and discrete Manufacturing Execution System and Warehouse Management System market. Especially, in the Germanedge context, Objective plays a significant expansion role, comprising new regional and industry knowledge. We look forward to supporting the management team and their successful strategy through our sector expertise and international network.” says Sebastian Canzler, Partner at Alpina Partners. “With its strong product suite, impressive portfolio of customers and an experienced leadership team, Objective will significantly support the momentum Germanedge has achieved. The addition of Objective enables Germanedge to reach out to process manufacturing organisations, next to discrete manufacturers and bridge the gap to offer a full suite of MES and MOM solutions to almost all industries.”, says Christian von Stengel, CEO at Germanegde. Objective was founded in 1996 and developed into a leading provider of shop floor and warehouse floor IT solutions. With its object-oriented software suite “Objective” the company offers an innovative combined MES and WMS-solution for the process and discrete manufacturing industry. The combined MES- and WMS solution comprises a unique “production logistics engine“, the beating heart of a manufacturing company, seamlessly and just-in-time ‘orchestrating’ logistics operations with manufacturing process steps. Customers include leading (mid-sized to world scale) food and beverage companies as well as metal processing and machine assembly companies. So called ‘industry vertical solutions’ support best practices in different specific industrial environments like, amongst other, dairy, industrial bakery, fresh and frozen fruit & vegetables, plastics processing, electronics, and OEM. Objective has approx. 80 employees, mainly situated at its Headquarter in Wichelen, Belgium, and in Eindhoven, The Netherlands (www.objt.com). Germanedge consist of the MES Solutions and the QDA Solutions situated in Munich, Burghausen and Lübeck. The group offers software solutions for equipment productivity, worker productivity as well as product quality with MES Solutions covering the first two topics. Alpina is an independent technology investment firm with approximately EUR 300 million in assets under management. The firm focuses on small and mid-sized businesses in Europe with strong technical USPs. Alpina supports entrepreneurs and management teams to implement its growth strategies. Alpina is supported by the European Union through the "Competitiveness and Innovation Framework Programme" (CIP). From the part of Alpina, the transaction was carried out by Sebastian Canzler and Stephan Prym. Frankfurt, 14 June 2018: Funds advised by Alpina Capital Partners LLP (“Alpina”, “Alpina Partners”) and private investor Jan Verdenhalven sold all shares in Dolan Holding GmbH and Dolan GmbH (“Dolan”) to Dralon GmbH (“Dralon”), a leading producer of raw white acrylic fiber headquartered in Dormagen, Germany. Dolan is based in Kelheim, Germany and is a specialty chemicals business mainly focusing on spun-dyed acrylic fiber for outdoor textiles. The parties agreed not to disclose the terms of the transaction. Earlier this year, IT Beteiligungs (“ITB”, the “Group”), a portfolio company of Alpina Partners (“Alpina”), acquired all the shares in Logis, an ERP software business focusing on the equipment leasing and retail market. Logis is the fourth acquisition of ITB which has already acquired majority stakes in Oxaion, cimdata Software and Syncos. Alpina and co-investor Command have provided funds to further fuel Oxaion’s sustainable and double-digit organic growth. In addition, Logis will become a subsidiary of Oxaion to leverage substantial synergies expected between both companies going forward. Logis is a leading software provider for equipment leasing and trading businesses with a focus on construction and material handling equipment, agricultural machinery as well as scaffolds. Logis was founded in 1995 and serves approx. 200 customers in its segment. The acquisition enables the Group to address another vertical after Oxaion successfully entered the medical technology space as a specialized solution provider. Volker Schinkel, CEO of ITB and Oxaion, commented: “We observed the market carefully before we acquired Logis, a leading solution provider in the equipment leasing and trading space. The special expertise and know-how implemented in the company’s TopLog software product is a clear differentiator enabling future growth”. Florian Strehle, Partner at Alpina, adds: “Acquiring Logis to address another dedicated market segment was the right move for us. The Group will continue to add new functionality to its software offering either by acquisition or organically”. Alpina is supported by the European Union through the "Competitiveness and Innovation Framework Program" (CIP). 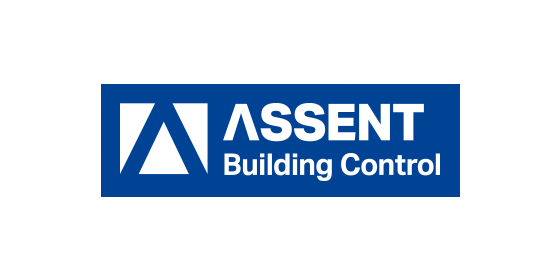 Since its foundation in 2005, ASSENT has developed into one of the leading Approved Inspectors for Building Control Services in the United Kingdom (“UK”). The Company offers Building Control and ancillary services such as fire safety consultancy, access consultancy or energy performance. In doing so, ASSENT provides a “one-stop shop” solution for flexible, cost-effective and high-quality Building Control services, ensuring that their clients meet Building Regulations from inception to completion of each project. To deliver a national service to its clients, the Company has a regional network of 43 offices and 110 Building Control experts across the nation. In 2016, ASSENT served 16,000 projects from a variety of clients such as architects, contractors, real estate developers or construction companies. Over the last years, the Company successfully processed small, medium to large projects across many different building sectors, i.e. residential, schools, retail or universities. With Alpina we found the right partner to implement the envisaged growth strategy for our business. We were convinced by level of professionalism and reliability throughout the transaction process as well as the understanding of our business. We look forward to working together with our partners at Alpina. CrossLink is a specialized engineering and manufacturing business based in Cadolzburg (Nuremberg area), Germany. The company engages in the design, development and production of lightweight composite components. CrossLink differentiates itself through its technology expertise and the ability to solve complex problems for customers. Its customer base covers various industries, including, e.g. medical technology, mechanical engineering, automotive as well as security and safety. Dolan GmbH located in Kelheim, Germany, is a market leading producer of tailor-made, high-quality acrylic fibres for the outdoor and industrial segments. Dolan’s production technology is the basis for unparalleled colour fastness, which cannot be achieved with yarn-dyed polyester or standard acrylic fibre. Furthermore, the fibres possess outstanding abrasion resistance and are automotive-certified. They are used in outdoor textiles such as sunshades, garden furniture, protective clothing and soft car tops, as well as filtration and industrial compound products. Thanks to Alpina Partners expertise and network in the advanced materials and carbon fibre markets, we will further accelerate our international growth by leveraging the unique production technology and high quality products of Dolan and ECF. With Alpina Partners support we are also confident we will continue to improve our operations as well as our world-leading products. 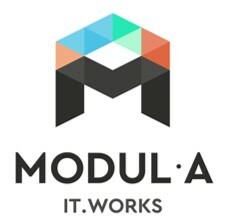 Modula, located next to Karlsruhe, Germany, is a buy-and-build platform actively driving consolidation in the German / DACH enterprise software market for “Mittelstand” manufacturing businesses, i.e. for providers of Enterprise Resource Planning (ERP) software for the manufacturing industry as well as for adjacent products and applications such as CRM, MES, or QDA. Current investments are Oxaion GmbH (“Oxaion“), Cimdata Software GmbH (“Cimdata“) and Syncos GmbH (“Syncos”). oxaion, headquartered in Ettlingen (Germany), is a well-established supplier of ERP-software for mid-sized businesses. The company is currently introducing its newly developed, flexible and platform-independent ERP-system (“oxaion open”), which is based on Java. The software is capable of covering central business processes like materials management, CRM or accounting. Additionally, oxaion offers specialised functions, which include, among others, a document management system, e-commerce applications and quality assurance. Cimdata, located in Westheim, Germany, is a provider of specialised ERP software solutions focused on small to mid-sized industrial companies. Cimdata specialises in implementing ERP-systems into a variety of business structures. Besides a wide range of standardised offerings, Cimdata delivers individual solutions which are tailored to the specific requirements of the client. Syncos, headquartered in Schwelm (Germany) offers its “Mittelstand” customers in the manufacturing sector holistic MES solutions (Manufacturing Execution Systems). The software covers production and machine data acquisition (“PDA” / ”MDA”), advanced planning and scheduling (”APS”), track-and-trace as well as computer-aided quality assurance (”CAQ”). The current version of the software combines production and quality management in a highly integrated, modular system. Holger Looks, CEO of Cimdata. Germanedge, located in Munich, Germany, is a dedicated Buy & Build platform for establishing a larger software group in the “Shopfloor IT” space in the context of “Industrie 4.0” differentiated by sustainable growth and innovation. The product and service portfolio is expanded continuously. In addition to organic growth, the group intends to realize selected add-on acquisitions (“buy-and-build”). In December 2016, ALPINA invested in GEFASOFT GmbH (“GEFASOFT”) followed by an investment in New Solutions GmbH (“NEW SOLUTIONS”) in July 2017. GEFASOFT is a leading provider of MES (“Manufacturing Execution Systems”) solutions and process visualization software. The Munich-based company was founded in 1984 and developed into a leading provider of software solutions in the field of “Industrie 4.0”. With its object-oriented process visualization “GraphPic” and its scalable and cloud ready software system “Legato Sapient”, GEFASOFT offers innovative MES-solutions for different industries. Customers include leading automotive OEMs as well as businesses in the pharmaceutical, food and renewable energy sector. Since its foundation in 1999, NEW SOLUTIONS has developed into one of the leading providers of software solutions for the digitalization of production-related processes involving employees, production equipment as well as external partners. With the digital shift book “FINITO”, the company offers a modular, web-based solution. In addition, NEW SOLUTIONS provides “CHECKWARE”, a solution for electronic checklists. The product portfolio also comprises “SYNOSET”, a software for the management of technical assets for medium-sized companies as well as large corporations. Further, NEW SOLUTIONS provides maintenance and individual consulting services. Longstanding customers include leading companies from various industries (e.g. Evonik, OMV, Wacker Chemie), but also small- and medium-sized enterprises. "We consider the ALPINA team as a very professional partner providing technology expertise as well as a strong network for realizing our future strategic plans." Franz Fuchs, Managing Director of GEFASOFT. "We are pleased to be able to strengthen our position in the software market with an experienced partner such as ALPINA. By expanding the software portfolio, we have the opportunity to offer our customers even more comprehensive solutions and services." Christian Ehrenschwendtner, Managing Director of NEW SOLUTIONS. Since its foundation in 1987, ASI DATAMYTE has developed into one of the leading providers of software solutions in the area of CAQ (“Computer Aided Quality Assurance”). Its headquarters are located at Luebeck, Germany. The international software company will operate under the name QDA SOLUTIONS in the future. With the current quality data analysis QDA software suite, the company offers a fully integrated quality management solution, which enables every user to record and to analyse critical quality data in an action-oriented manner for the sustainable optimization of production processes. According to the company slogan “making data actionable”, all users from production to the top management receive the necessary transparency to make the right decisions for the sustainable company success. Thanks to the modular software architecture, the software solution can be flexibly adapted to the individual requirements of every company. The product portfolio also contains maintenance and individual consulting services. Longstanding customers include leading companies from various industries such as automotive, customer goods, and energy, but also small- and medium-sized enterprises. We are very excited to have such a strong partner as ALPINA on our side. With their additional strengths, we will be able to expand our many years of expertise to our customers, meeting the needs of the 21st century with a broader product portfolio. Sven Tetzlaff, Managing Director of QDA SOLUTIONS. Virtalis Limited is a world-leading Virtual Reality (VR) and advanced visualisation company. The Cheshire-based (England) company was founded in 2003 and developed into a leading provider of systems and solutions in the field of Virtual Reality. Virtalis has launched innovative software like “Visionary Render“, “VR4CAD“ and “GeoVisionary“ in recent years, to work with its well-known “ActiveWorks“ VR display systems. These systems and solutions offer the chance to really understand information and data, to interact with it and to foster communication between designers, manufacturers, trainers, marketeers and senior management. Long-term customers include leading companies in the fields of engineering, aerospace and automotive as well as academic institutions such as universities, hospitals and flight schools as well as public administrations. Prior to Alpina Partners Florian was a member of the management board at AUCTUS Capital Partners, a leading private equity fund manager in German-speaking Europe. He joined AUCTUS from 3i where he was a member of the firm’s European technology investment team. Florian started his career as a management consultant at McKinsey & Company. Florian has a master’s degree in mechanical engineering from Technische Universität München in Germany and a Ph.D. from Leiden University in the Netherlands. Prior to Alpina Partners Sebastian was Managing Partner at CWM (his own investment vehicle). Previously he was a member of the management board at AUCTUS Capital Partners, a leading private equity fund manager in German-speaking Europe. He joined AUCTUS from Siemens where he was a member of the firm’s Mobile Acceleration unit (a Venture Capital unit of Siemens). Sebastian has an MBA from European Business School, Oestrich-Winkel, Germany. 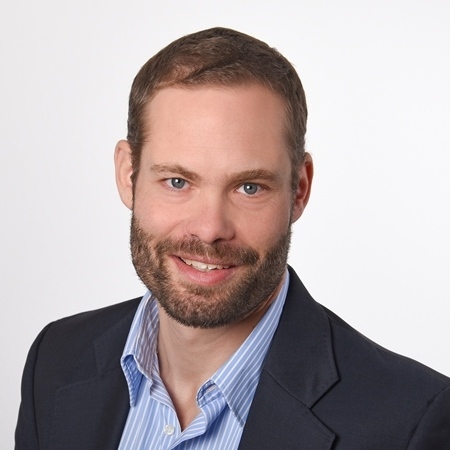 Markus joined Alpina Partners’ in July 2015 as CFO. Prior to this, Markus had over 5 years’ private equity experience at HeidelbergCapital, a German private equity fund manager, where he was Director Finance. He was responsible for Finance, Fund Administration, Investor Relations and IT, he was also part of the deal team in charge of deal origination, transactions and fund raising. Before working at HeidelbergCapital, Markus has been working several years as a consultant and auditor at the Corporate Finance and Audit Department of BDO and KPMG on numerous M&A, due diligence, valuation and international accounting projects related to mid and large cap transactions. Markus holds a Master’s Degree in Business Administration from the University of Mannheim, Germany. 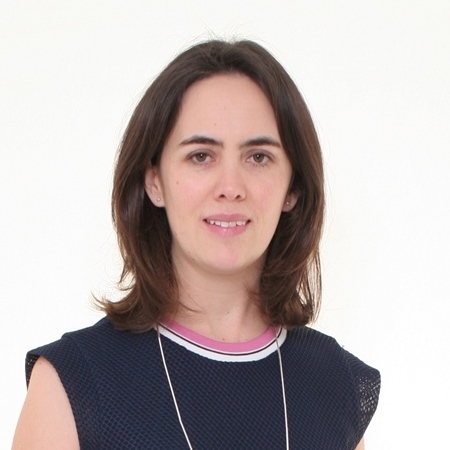 Lisa joined Alpina Partners’ in September 2015. She previously worked for Global Infrastructure Partners where she was responsible for the financial control of their International Port Holdings. Lisa is a qualified Chartered Accountant having completed her training at KPMG and holds a Honours degree in Accounting from the University of Witwatersrand. Stephan has more than five years experience in M&A and strategy consulting. Prior to joining Alpina Partners in February 2018, Stephan worked for the M&A Transaction Services Team of Deloitte as a Manager. Before that, Stephan gained practical experience at Roland Berger Strategy Consultants. Heidi has joined Alpina Partners in 2017. Before joining Alpina Partners, Heidi worked for international fashion retailers. Heidi studied business administration. Before joining Alpina Partners, Jörg was a venture partner with Munich based private equity firm, Target Partners, and prior to that a partner at the US-based power and energy fund manager, Ridgewood Capital. Previously he ran the Silicon Valley office for Infineon Ventures. Jörg has worked for a number of semiconductor companies in Europe and the US, most recently as Global VP Sales for Dresden-based ZMD. His track record includes 28 investments and successful exits via NASDAQ IPOs and LSE listings, in addition to numerous trade sales. Jörg has a masters in Electrical Engineering from RWTH Aachen. He worked as a researcher in the field of semiconductors at the Technion in Israel and at AT&T Bell Laboratories in the USA. 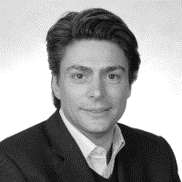 Geoff is a non-executive director of two Alpina Partners’ investee companies and a member of our Advisory Board. He has 38 years’ experience at ICI, Zeneca & Astra Zeneca, where his final position was Director of Global EHS and Environmental Science and Technology Operations. Geoff has a PhD in Chemistry from University College London. Ken has 10 years’ experience of chairmanships and non-executive directorships of private equity backed software and services businesses. He spent three years as CEO of JBA Holdings PLC and eight years as Divisional Managing Director at Misys PLC. Ken previously worked for Cypher Business Systems and Ericsson Information Systems. As Doctor of Biochemistry, Jan Verdenhalven has more than 25 years of experience in various senior management positions at internationally active chemical companies. His career began in 1985 as laboratory manager at Hoechst AG. In 1990 he moved to Management Consultant at McKinsey Company and returned in 1992 as Project Manager, Strategic Planning, and later Area Controller, Fine Chemicals, to Hoechst AG. From 1995 to 2000, as member of the board of DyStar GmbH Co. KG, he was responsible for the global business area of dispersion color materials. Between March 2000 and March 2011 he worked at the SGL Group, initially as Manager of Corporate Controlling and Business Development, and since 2001 as Chairman of the global business area Carbon Fiber Composites. Mike has worked with Alpina Partners’ since 2011 when he became Chairman of AMCS Group, a Growth Fund 1 portfolio company. He is also the CEO of KHME Limited, non-executive director of One 51 plc and member of the operational board / CEO of the recycling division of NTR plc. Prior to this he gained automotive industry experience with Godfrey Davis plc, where he was Chairman of their motor division. He also held senior management positions in the waste management industry with Waste Management International and Greenstar Group.